Marketers commonly encounter these two terms, but not everyone knows and understands what makes each metric so important. Many understand the importance of social media engagement. However, when it comes to strategy, it’s all about accurately measuring your metrics and finding areas to increase efforts. Various social media terms are often misinterpreted and some are even thought to mean the same thing. While it’s very easy to group terms like reach and impressions together, they do have their own definitions. Before you accurately measure these metrics, let’s learn a crash course on reach vs. impressions. 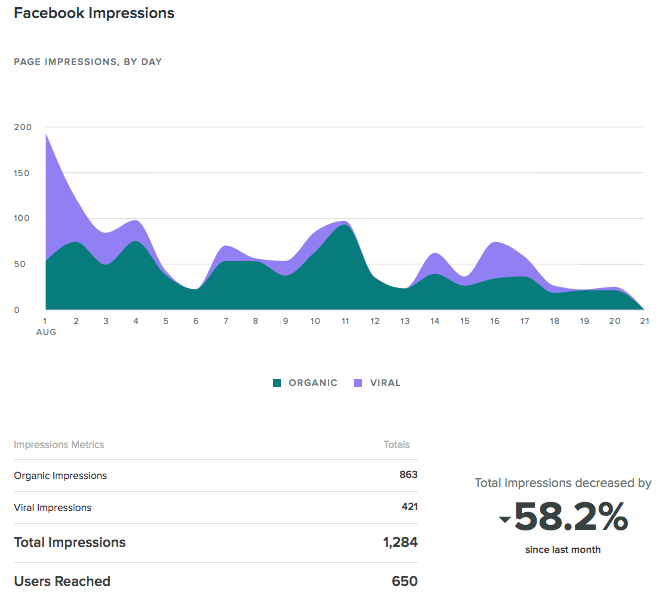 What’s the Difference Between Reach vs. Impressions? Think of reach as the number of unique people who see your content. In a perfect world, every one of your followers would see every piece of content you posted. Most underrated season to visit the National Parks: autumn. Unfortunately, that’s not how things work on social, and not all of your followers will see every single post you publish. For instance, Groupon has 17 million followers, but their organic content doesn’t come close to getting that number of engagements because only a fraction of their audience sees it. However, an impression means that content was delivered to someone’s feed. A viewer doesn’t have to engage with the post in order for it to count as an impression. Also, one person could have multiple impressions for a single piece of content. 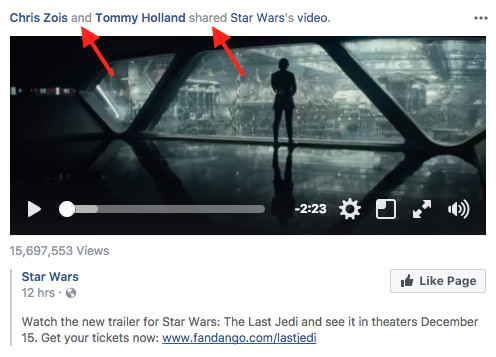 For example, a Facebook post could show up in the News Feed from the original publisher and appear again when a friend shares the publisher’s post. If you saw both forms of activity in your feed, that counts as two impressions for the same post. As you can see, there are a lot of similarities between reach and impressions, but there’s still an underlying difference in terms of engagement. Similar to our first example, let’s say you have 100 followers on Twitter and you published one Tweet. If every one of your followers sees that Tweet, you have a reach of 100 users–along with 100 impressions. To continue, say tomorrow you publish two Tweets to the same 100 followers. Your reach is still 100 users because your follower count didn’t change. However, now you have 200 impressions. Why? Because every single one of your 100 followers saw both Tweets you published. That’s why you may notice the number of impressions for a Tweet may sometimes be significantly larger than your follower count. It’s a bit of a challenging concept, but absolutely important to know when tracking the success of a social media campaign. If you recall nothing else about reach and impressions, remember this: Reach is the number of people who may have seen your content, while impressions are the total number of times your content was displayed to people. If you’re looking to better understand how to improve your reach and impressions, it’s important to learn about other related engagement metrics. For example, there are different kinds of reach and impression metrics on each social network—Facebook to be specific. Other platforms may include reach and impressions in their social media analytics, but they’re pretty standard. Facebook shows reach and impressions broken down by post type and other categories, which is necessary to understand when looking to improve. Organic: This represents the number of unique people who saw your content—for free—in the News Feed. 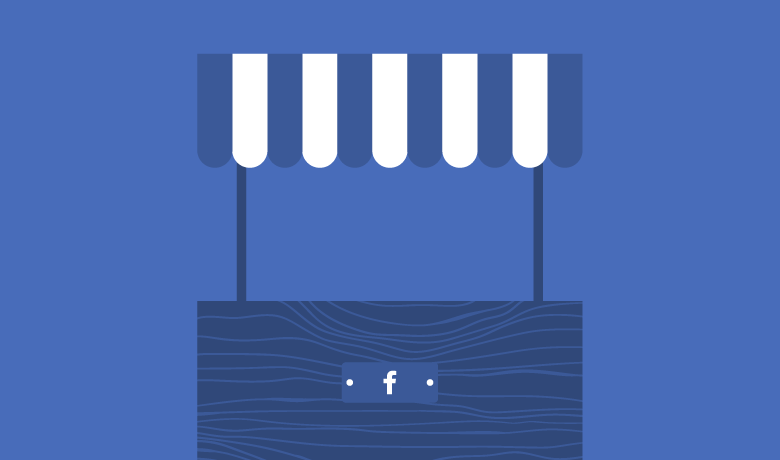 Organic: The number of times your content was displayed—for free—in News Feed or on your Page. Having the same categoric breakdowns certainly doesn’t keep reach and impressions separate. But remember our first example we discussed. If five Facebook fans each saw your post twice, the result would be 10 impressions (the number of times displayed multiplied by the number of unique people who saw it) and a reach of five (the unique people who saw it). But if you’re using Facebook Ads, there are two additional types of impressions to track: served and viewed. Served impressions include ads that no one sees because they appear below the fold or because the person left the page before it could finish rendering. It’s inaccurate and leaves a big gap between the number of ads served and the number seen. However, viewed impressions count from the moment the ad enters the screen of a desktop browser or mobile app. If it doesn’t enter the screen, it doesn’t count. The native Twitter app doesn’t measure your reach, but it does track impressions. Twitter defines impressions as anytime a Twitter user sees your Tweet. Think of an impression as a Tweet that shows up on someone’s monitor or mobile screen. But the number of impressions you see inside the Twitter app only counts the number of times your Tweets show up in a user’s feed or search results. While Twitter doesn’t provide data on reach, there is a workaround. 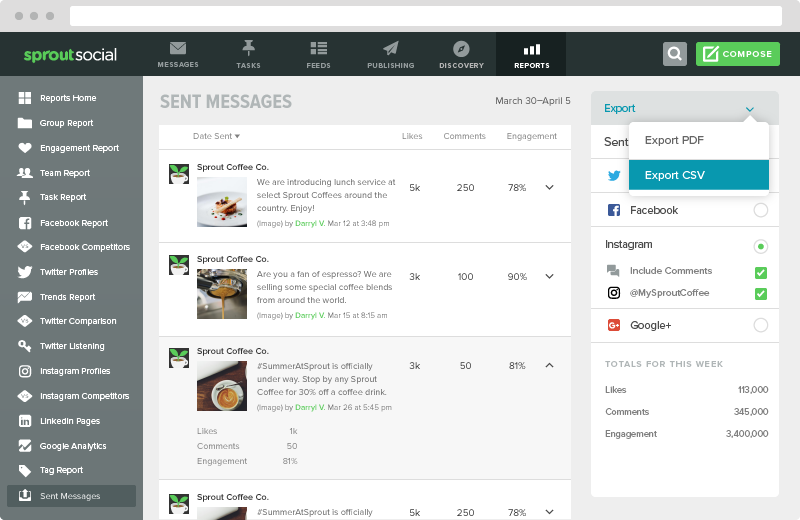 Luckily, with Sprout Social’s Sent Messages Report, you get more insights into your social media reach. As reach increases, it naturally leads to increased awareness. For businesses, it’s important to extend your reach to as many consumers as possible. But even if you’re reaching 10,000 people, it won’t mean a thing if only 1,000 of them have interest in your brand. Sent messages lose effect and no value is gained when they’re ignored. Design messages and your content strategy with your target audience in mind. Also keep an eye on the content that’s being shared, retweeted, liked or replied to. By tracking these engagements, it’ll help you find potential users to target, thus extending your reach. Impressions measure your ability to get your content in front of your intended audience. When your impressions rise, it’s likely due to your content surfacing more frequently into users’ feeds. This usually means your posts are optimized for whichever social network you’re using. If you do not see the impressions you hoped for, first look at how you share your content. Is it optimized for the platform you’re using? 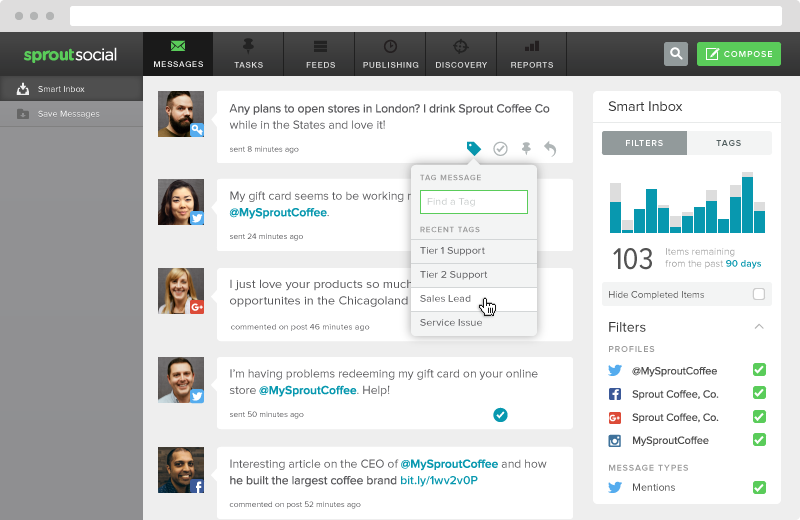 Request your free Sprout Social Demo today to see our tools in action for your business! Learning the difference between reach vs. impressions is sometimes a little convoluted, but it’s not impossible to understand. Once you distinguish the two metrics, you begin working toward the most important one of all: social media engagement. A common goal behind every social media campaign is increased engagement. If your content isn’t getting likes, replies or shares, something is wrong—either on the creation or targeting end. Awareness comes before engagement, and reach and impressions drive people to take action. You can’t have one without the other, and you can’t improve one without also tweaking the others. So when you’re thinking about how to increase engagement, do so while also considering how reach and impressions play into it.